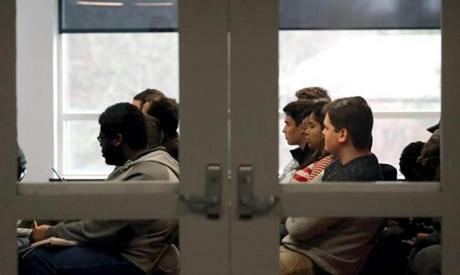 At Newbury College in Brookline, enrollment has declined 86 percent over the past 20 years. BROOKLINE — Joseph Chillo has a luxurious office in a beautiful building with a view of a leafy neighborhood in this wealthy town. But while his perch may look idyllic, his job is not. As the leader of Newbury College, a small, struggling, liberal arts college where enrollment has declined 86 percent over the past 20 years, he has a lot of sleepless nights. Chillo worries about a lot of things: Will next fall’s crop of students materialize, will there be enough financial aid, which majors should be cut, how much will the school get for a building it is selling, and will that be enough to close a 10 percent budget deficit. They are all facets of the same nagging question: How can schools like Newbury survive? Chillo is among a growing number of presidents of imperiled small colleges fighting every way they know how to stay open. A Globe review of undergraduate enrollment trends across New England over the past 20 years shows that 20 percent of the 118 four-year, private colleges in the region have seen their enrollment drop by at least 10 percent. 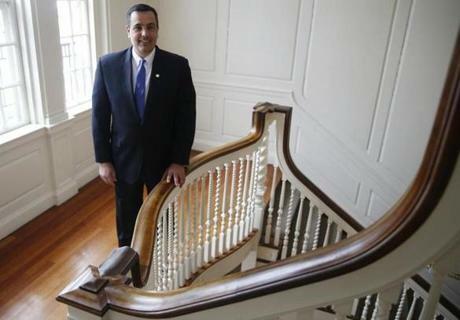 Newbury College president Joseph Chillo has a lot of sleepless nights. Newbury College saw the biggest drop, except for two schools that merged with others so they now have no students at all. Franklin Pierce University in New Hampshire lost 40 percent of its enrollment over the 20 years but still has 1,800 students. Other colleges survive on microscopic enrollments, like Boston Baptist College, which saw a lesser decline but has only 77 students, according to data from the US Department of Education data analyzed by the Globe. The main reason these schools struggle is demographic. The number of high school graduates has been shrinking — and will continue to. Experts predict a major drop in the number of high school graduates overall after the year 2025 — especially in New England — because people have had fewer children since the 2008 economic recession. The other thing these schools have in common: They are small and have relatively high tuitions, an increasingly hard sell as middle-class families struggle financially and think twice about debt. “The demand for higher education is not rising like it was,” said Richard Vedder, a retired economics professor at Ohio University who studies trends in higher education. Vedder predicts that 500 US colleges will close in the next decade. This will cause a rift in the industry, with titans such as Harvard untouched and much of the rest of the private college landscape decimated, he said. More families are looking toward large, public schools because they are more affordable. Decades ago, when four-year degrees were less common, such a credential made a big difference in job and salary potential, so schools could charge more, Vedder said. But these days, data show the value of a degree from a relatively unknown college is much less. Newbury has a $2 million endowment, tiny even for a school its size. Regis College, which just signed an academic partnership with Newbury, has a $34 million endowment. On the other end of the spectrum, Smith College has an endowment of $1.9 billion; Boston University, $1.96 billion; and Harvard, $38 billion. Tuition plus room and board at Newbury is around $47,000. Newbury has a $2 million endowment, tiny even for a school its size. As they fight to survive, many struggling schools have employed several commontactics to try to resurrect their enrollments. They deploy social media marketing, expand financial aid if they can, and offer more practical majors that students believe will get them jobs. 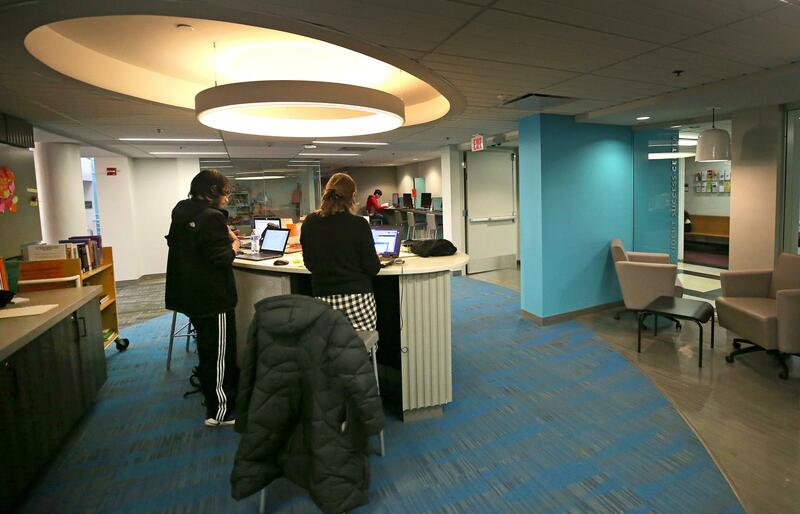 “It’s a much more concentrated, organized, deliberate attempt to stay in touch with the students,” Jensen said. Springfield College saw a 26 percent drop in enrollment over the past two decades, from 2,844 to 2,114, but recently managed to stabilize its numbers and even saw an increase this year, to 2,228 according to Stuart Jones, the school’s vice president for enrollment management. Among other tactics, the school used targeted digital marketing to recruit a subset of students it believed was likely to attend, he said. “The higher education industry is as competitive as any other industry in the country. It has become that way because revenue is paramount,” he said. For most students, accepting a college’s offer boils down to how much financial aid a school offers them. At the College of St. Joseph, enrollment dropped 32 percent over 20 years, from 336 students to 230, according to federal data. To help counter this trend, the school lowered tuition for students entering this fall, from $23,000 to $17,500. It will also give students a laptop and help pay for books. Instead of lowering the sticker price, however, many schools deeply discount their tuition on a student-by-student basis. For example, tuition at Newbury is $33,000 per year, plus about $15,000 for room and board. The average discount at Newbury is 52 percent, Chillo said, meaning the college collects only about half the revenue that it could per student. As a result, small schools nationwide saw lower growth in net tuition revenue than larger colleges in 2016, and that pattern is likely to continue, said Dennis M. Gephardt, a vice president-senior credit officer at Moody’s rating agency who specializes in higher education. Gephardt said there will likely be more college closures and mergers to come, but not all at once or even quickly. There are ways for these schools to survive, or even thrive, with lower enrollment, he said, but it will be more difficult. For small schools with small endowments, the difference of a few students can be significant. “There’s just more sensitivity to changes,” Gephardt said. Meanwhile, schools like Newbury have changed the types of majors they offer. 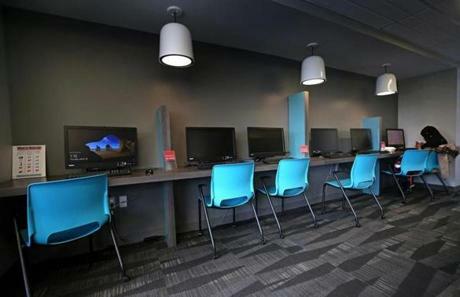 Newbury got rid of several associate’s degrees, like one in “arts in general studies,” because officials realized those didn’t help students get jobs. It abandoned an attempt at online degrees because its sole offering had only about 10 participants. Newbury now focuses on majors like business, hospitality, and criminal justice that are practical and offer students more earning potential. Instead the school is focused on majors like business, hospitality, and criminal justice, that are practical and offer students more earning potential. The school also recently started a partnership with Regis College where students can start a master’s degree during their senior year of undergraduate school. Despite their challenges, these schools do have selling points. Students like the small class sizes, personal attention, and often historic campuses in serene locations. “You’ll be a face that they remember,” said Dora Lima, a senior from New Bedford who is studying international business management at Newbury. Lima, 21, who speaks five languages and is the first in her family to attend college, said she hopes to work in product management at a travel agency. She said she will have about $40,000 in loans when she graduates. That is worth it, she said, because of the school’s tight-knit community. Students even return after graduation to use campus resources and stay in touch with friends and mentors. Craig Cristani, a freshman from Plymouth, also said it was the small classes that convinced him to enroll, and that the college isn’t too far from home. He returns home some weekends to work for a landscaping business he runs with his brother. With scholarships, he said, he pays about $7,000 per year and expects to have few loans on graduation. But the benefits of this tight-knit community are also stressors for Chillo, the president. Because he knows everyone, he worries about the faculty member who had a bad day, the employee who was laid off, or the student who dropped out to care for his mother and siblings. The thing that saves Chillo every year is commencement. Newbury started as a downtown college that served many working adults. Although it long ago moved to a residential campus and now serves traditional undergraduates, the majority are low-income, minority, and first-generation students. Chillo himself was the first in his family to attend college. Every May, Chillo looks past the rows of graduates to where moms and dads and grandparents sit. For him, that is the compelling story. Those parents are watching the first person in their family graduate from college.